Frank Castle is a travelling man as The Punisher season 2 begins. We meet up with Frank at Lola’s Roadhouse, a country bar somewhere in Michigan. When a drunk guy gets a little too handsy with the bartender, Beth, Frank intervenes–non-violently. Among the others we meet at Lola’s are Ringo, the bouncer (who dispatches the drunk with ease), and a nervous young lady with an attitude who Frank identifies right away as someone in trouble. Introducing himself as Pete, Frank Goes home with Beth. The two are a couple of lonely individuals looking to not be lonely for one night. They are awkward at first, but eventually settle in together. Beth asks “Pete” about the wedding band he wears around his neck. Frank comes clean with Beth about his name and that his family was murdered because of him. He promises Beth that his past will not come knocking on her door. Frank tries to sneak out the next morning, but Beth’s young son, Rex, catches him. Rex is home early and there’s no food in the house. Frank makes the best of an uncomfortable situation by taking them all out for breakfast. Afterward, Frank tries to say goodbye to Beth like an adult. She asks him to stay. Frank makes it 2 hours out of town before turning around and coming back. The young lady from Lola’s Roadhouse watches the crowd nervously before making a call from the payphone. She calls a Russian named Sergei, saying that everyone she worked with is dead and she’s the only one left. She also tells Sergei to meet her at Lola’s or else she disappears forever with the photos. What the young lady doesn’t know is that Sergei is tied to a chair and being interrogated by a man named Pilgrim, who kills Sergei once he knows where the girl is. The young lady picks the lock on one of the motel doors across the street, where she runs into Frank again. She asks Frank if he’s following her; he asks why would he and if she’s okay. The girl walks away, killing time until she returns to Lola’s that evening. At Lola’s, Frank notices a group of assassins as they enter Lola’s, and they really look out of place among the local clientele. The young lady sees them, too, and tries to escape out the bathroom window. She tosses her backpack outside and tries to follow it, but gets stuck and pulled back inside by a couple of the assassins. Frank follows them into the women’s bathroom, playing drunk before charging in. 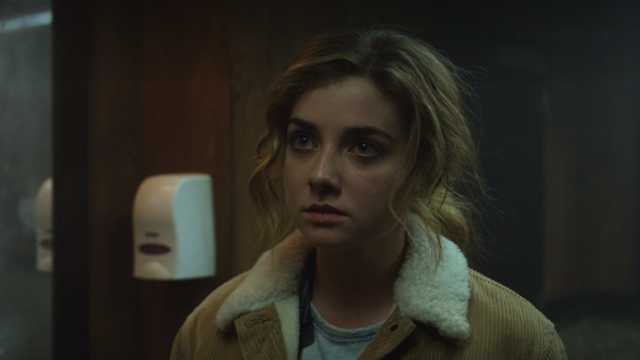 Frank saves the young lady from the killers, even though she won’t tell him who she is, who the assassins are, or even what they want with her. Frank tries to get her out of the bar quietly, but that plan doesn’t work out. The ensuing bar fight claims the lives of a number of innocents, including Ringo. Frank takes out all of the assassins, but not before Beth is shot as well. Frank speeds and kills his way to the hospital, where he leaves Beth with the EMTs. The young lady tries to run away, but Frank gets her back in the van and drives away. She asks if there will be more coming for her. Frank says he hopes so. At Lola’s, one of the killers finds the girl’s backpack outside the bathroom window with the laptop Pilgrim is after inside. Pilgrim watches the security footage of Frank fighting. Pilgrim is confident that someone with Frank’s skills will be known, and he will track Frank to find the girl. 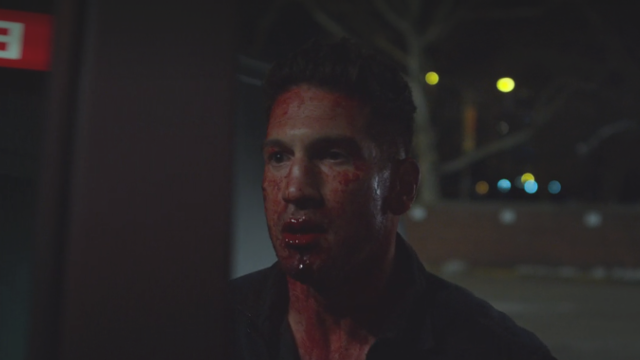 What did you think about The Punisher season 2 episode 1? Let us know in the comments below!